It was a fascinating, news-filled 2014 in the Pacific Northwest wine industry. We saw record warmth, huge harvests, big investments, anniversaries and sad losses. Today, we complete our review of the top 20 wine stories in the Northwest, unveiling stories 10 through 1. While they were teammates with the Miami Dolphins, Dan Marino and Damon Huard became friends. It was Marino who introduced Huard to the greatness of Washington wines, and they formed an idea about one day starting a winery. Marino, the NFL Hall of Famer, and the former University of Washington standout — Huard — did just that when they announced the launch of Passing Time last June. 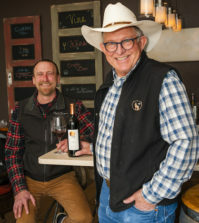 The two are working with Chris Peterson of Avennia winery in Woodinville to create red wines from top vineyards such as Discovery and Champoux in the Horse Heaven Hills and Klipsun on Red Mountain. The first wine, from the 2012 vintage, will be released this year. Read more about Passing Time and listen to our podcast interview with Marino and Huard. It was a big year in many ways for Maryhill Winery. Leading the list of accomplishments for the Goldendale, Wash., winery was earning “Winery of the Year” at the prestigious San Francisco International Wine Competition in June. Craig and Vicki Leuthold own the winery, and the wines are produced by Richard Batchelor, who arrived during the 2009 vintage. Batchelor’s wines earned an astonishing 28 medals at the competition, including two best-of-class awards, a unanimous double gold and a gold medal. The competition, run by longtime wine personality Anthony Dias Blue, attracted more than 4,700 entries from from 1,400 wineries in 26 states and 31 countries. Read more about the Maryhill award. 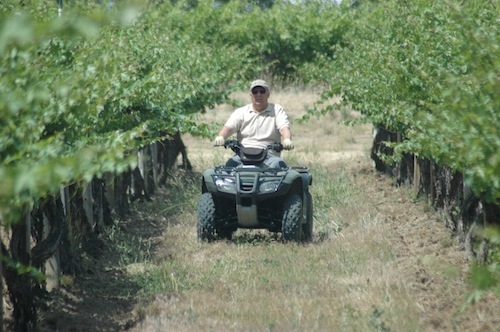 When Sagemoor Vineyards was first planted in the early 1970s, it was Washington’s first large-scale commercial vineyard. And under the leadership of grower Kent Waliser, it has remained one of the state’s best and most-cherished vineyards. Throughout its 40-year history, Sagemoor has been owned by a group of investors who came together all those decades ago. But in April, the historic vineyard was sold to Allan Brothers of Naches near Yakima. Sagemoor figures to be in good hands, as Waliser remains as the general manager of the 883-acre vineyard, and Allan Brothers has a century-long history in agriculture in the Yakima Valley. Read more about the Sagemoor sale. 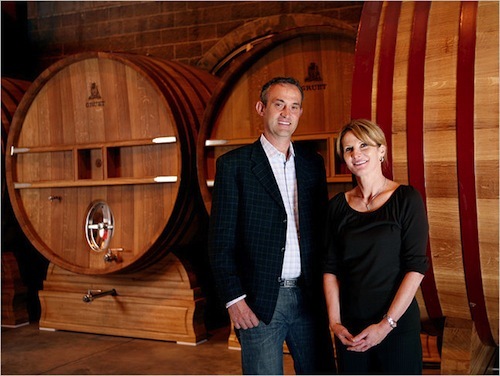 Precept Wine has been around only since 2003, but it continues to expand its winemaking empire. In July, the Seattle-based wine producer purchased Gruet, a longtime sparkling wine producer in New Mexico. Gruet, launched in 1987, produces about 125,000 cases of bubbles each year. The acquisition puts Precept well over 1 million cases of wine in annual production and gives the company a strong foothold in the important sparkling wine category. 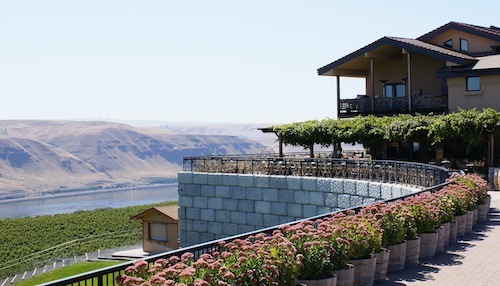 Precept is Washington’s largest privately held wine producer and owns such brands as Waterbrook, House Wine, Washington Hills, Willow Crest and Canoe Ridge. In Idaho, it owns Ste. Chapelle and Sawtooth. The company also operates 12th & Maple Wine Co., in Dundee, Ore., and owns about 4,200 acres of vines in Washington, Oregon and Idaho. Read more about Precept’s purchase of Gruet. When Bob and Cathy Betz launched their winery in 1997, they had a choice to make: Invest in a winemaking facility or plant a vineyard. For them, the choice was easy. They built a beautiful winery not from Chateau Ste. Michelle in Woodinville, Wash.
Three years ago, the Betzes sold their winery to Steve and Bridgit Griessel, with Bob Betz staying on as winemaker for the South Africans. In December, the Griessels announced they were purchasing their first vineyard property, calling it the logical evolution of a highly regarded red wine producer. Steve Griessel hoped to purchase land on Red Mountain but lost out when the Aquilini family bought all 680 acres at a highly charged land auction in late 2013. 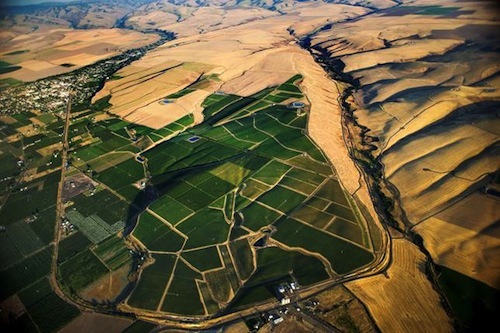 Instead, Griessel purchased a 40-acre parcel in SeVein, a vineyard development in the southern Walla Walla Valley. SeVein already has several successful vineyards owned by such producers as L’Ecole No. 41, Leonetti, Doubleback, Pepper Bridge and Cadaretta. 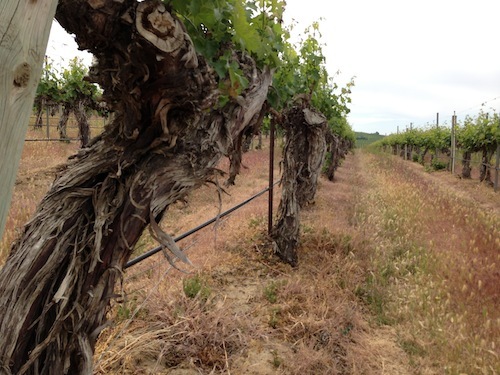 Griessel told Great Northwest Wine that he plans to plant his vineyard in 2016. Read more about the new Betz property. 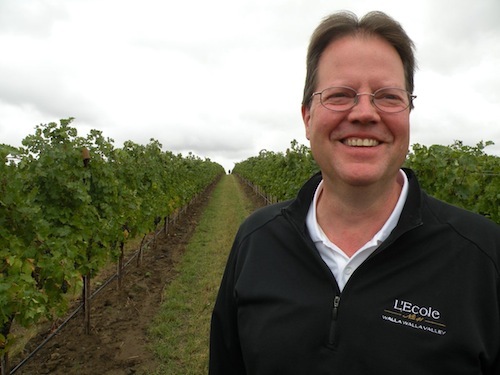 After just 10 months on the job, Alan Busacca was out as director of the vaunted Walla Walla Community College Center for Enology and Viticulture. The college cited budget shortfalls as the reason for his May dismissal. Busacca, who spent 24 years as a geology professor and soil scientist at Washington State University, is considered a leading expert in the Ice Age floods and how they affected the soil in Washington wine country. He operates a vineyard consulting service and has authored multiple American Viticultural Area petitions, including Lake Chelan, Wahluke Slope and the proposed Lewis-Clark Valley. Busacca’s dismissal was met with shock and disappointment by the winemaking community in the Walla Walla Valley and beyond. Read more about the Walla Walla Community College move. It wasn’t quite the Judgment of Paris – but almost. In June, L’Ecole No. 41 in the Walla Walla Valley town of Lowden, Wash., earned the Decanter World Wine Award for best Bordeaux-style wine over £15 in the world at the major competition in London. This means L’Ecole’s 2011 Ferguson Vineyard beat out the best Bordeaux-style wines from Napa to, well, Bordeaux. 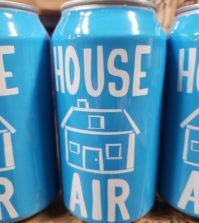 The winery, owned by Marty and Megan Clubb, used grapes from its young Ferguson Vineyard in the highly acclaimed SeVein development near the town of Milton-Freewater, Ore. The grapes for the red blend were only the second crop harvested from Ferguson (which was named after L’Ecole founders Baker and Jean Ferguson – Megan Clubb’s parents). The $59 wine is a blend of Cabernet Sauvignon (57 percent), Merlot (32 percent) and Cabernet Franc. Read more about L’Ecole’s victory in London. Paul Champoux grew up in the Yakima Valley and got into grape growing when he was hired by Ste. Michelle Wine Estates in the late 1970s. Within a decade, he’d taken over a rundown vineyard in the Horse Heaven Hills and by 1996 put together a partnership to buy the place. He named it Champoux Vineyards, and it quickly developed into one of the finest sources of wine grapes anywhere. Cabernet Sauvignon grapes from Champoux were the primary component for Quilceda Creek Vintners’ wines that earned perfect 100-point scores four times in six years, and wines made by Woodward Canyon, Andrew Will, Januik, Soos Creek, Fidelitas and others from his grapes proved Champoux was at the top of his game. But on July 4, 2009, Champoux was bitten by a mosquito. Ten days later, he had flu-like symptoms, and on July 16, he was paralyzed. Eventually, he was diagnosed with West Nile Virus. The long road to recovery began, and today he is able to get out of his wheelchair for short stints using a walker. Just as his life was getting back together, his wife, Judy, went through her own health issues, including an inner-ear imbalance and an injured back that kept her bed-ridden for the better part of a year. After that, the couple decided it was time to hang up their pruning shears, so they sold their shares in the vineyard to Quilceda Creek and retired. They leave a legacy of superb farming and great wines. Read more about Paul Champoux’s retirement. In 2014, the Pacific Northwest experienced its warmest vintage on record. Spring started early with bud break and bloom, and the heat rarely let up throughout the region. Harvest in Washington and Oregon began in late August and stretched into late October under weather conditions many winemakers and grape growers described as near-perfect. In Washington, the official total harvest is expected to measure about 240,000 tons – well ahead of the 2013 record harvest of 212,000 tons. In mid-November, a cold snap allowed winemakers in British Columbia, Washington and Idaho to harvest for ice wine – earlier than normal. Read more about Washington’s record harvest. Read more about Oregon’s harvest. Read more about the ice wine harvest. Every year brings somber news in the form of winemakers or other Northwest wine industry members passing away, but 2014 was especially difficult. Here is a look at who we lost last year. 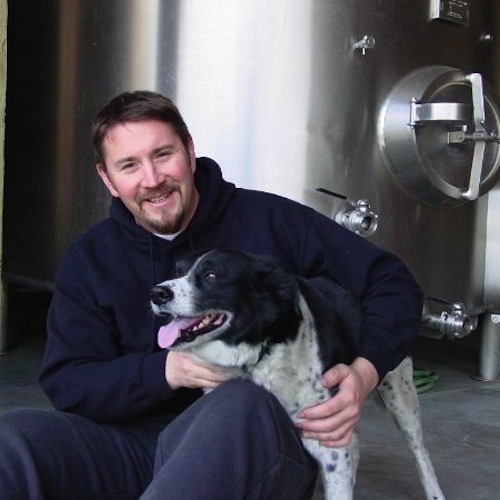 Eric Dunham: Perhaps the saddest loss in 2014 was that of Eric Dunham, a star winemaker in the Walla Walla Valley. Dunham, 44, died in October in Cannon Beach, Ore. He is remembered as a gifted winemaker, a talented artist and a good friend with a giving heart. He and his father, Mike, started Dunham Cellars in 1995 while he was an assistant winemaker at L’Ecole No. 41. Read more about Eric Dunham’s life. Bill Powers: Known for pioneering organic grape growing and winemaking in Washington, Bill Powers died in September as his grapes were being harvested. He was 88. Powers began growing grapes in the early 1980s, and by 1990 had transitioned to certified organic vineyards. 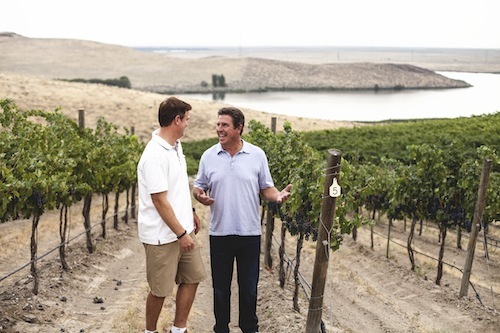 With his son Greg as winemaker and business partner Mickey Dunne on the sales and business side, Powers grew his Badger Mountain Vineyards label into one of the largest organic wineries in the nation, with more than 50,000 cases annually. Read more about Bill Powers’ life. John Bradley: Though not well known throughout the Oregon wine industry, John Bradley was an important grape grower in the Umpqua Valley who helped champion the Elkton Oregon American Viticultural Area. He died in January. He grew wine grapes in the Elkton area for more than 30 years and at one time farmed the region’s three oldest vineyards. Read more about John Bradley’s life. Mike Miller: The founder of Airfield Estates was recognized as one of the Yakima Valley’s top grape growers. Mike Miller, whose son Marcus is the family winemaker, died Oct. 5 after a brief battle with cancer. Read more about Mike Miller’s life. Bob Andrews: Few wine grapes were being grown in Washington’s Horse Heaven Hills when Bob Andrews and his son Rob began planting Andrews Horse Heaven Ranch and McKinley Springs in 1980. Andrews later partnered with his son Mike to start Coyote Canyon Vineyard. Andrews was one of the pioneers of a region that today is highly regarded. He died in December after a lengthy battle with cancer. He was 84. Read more about Bob Andrews’ life. John Sarich: The culinary director for Chateau Ste. Michelle is fondly remembered for many accomplishments: chef, restaurant owner, television personality, author, father and friend. John Sarich died in October after a brief battle with a rare form of thyroid cancer. He began his wine career in 1976, not long after Chateau Ste. Michelle opened to the public. He went on to launch Adriatica Restaurant in Seattle before returning to Ste. Michelle. He authored five books and starred in the regional cooking show Taste of the Northwest. Read more about John Sarich’s life. 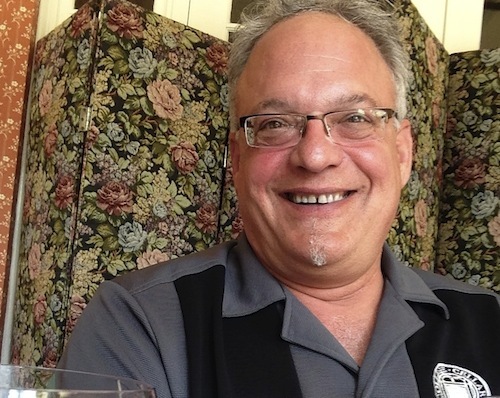 Dave Seaver: Longtime wine judge and enthusiast Dave Seaver died in May. He grew up in Nebraska and moved to the Pacific Northwest in 1990 after earning his Ph.D to work at Pacific Northwest National Laboratory as a scientist specializing in decision analysis. 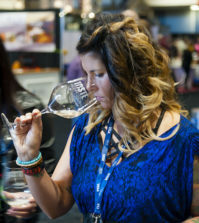 Seaver judged the Great Northwest Wine Competition, the Walla Walla Valley Wine Competition, the Platinum Judging, the Greatest of the Grape, the Idaho Wine Competition, Savor Northwest Wine Awards and the North Central Washington Wine Awards. Read more about Dave Seaver’s life. 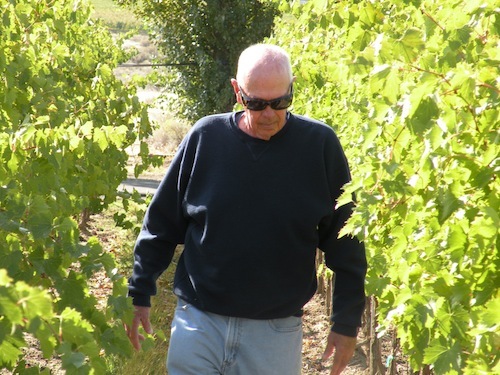 Jim Mitchell: The close-knit Idaho wine industry lost one of its own in January when Jim Mitchell died at the age of 70. 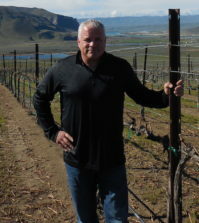 Mitchell moved to Idaho from California in 2002 to grow grapes and ultimately created Miceli Vineyards and Winery – the first winery in Owyhee County. Mitchell named the winery after his grandfather, Francesco Miceli, who emigrated to the United States from Sicily in 1905 and was a home winemaker. Read more about Jim Mitchell’s life. Arvid Monson: Before he planted one of Washington’s largest vineyards, Arvid Monson owned a dairy operation in the Yakima Valley. In the late 1990s, Monson began planting Goose Ridge, a 1,600-acre vineyard across Interstate 82 from Red Mountain and later built a custom-crush facility and launched his own winery. Monson died Dec. 1 at the age of 73. Read more about Arvid Monson’s life.